Ad Magic personalized playing cards come in every imaginable shape, color and size. 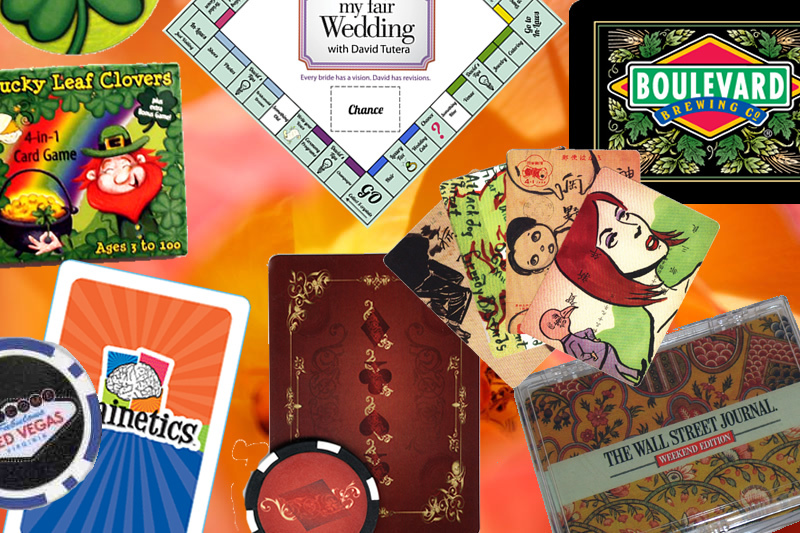 Along with a variety of printing styles for personalized playing cards, Ad magic also specializes in custom poker chips, instructions, game boards, packaging, custom boxes, displays and imprinted promotional products of all kinds. Contact us via email and describe your job. Our team of talented layout designers and graphic artists will present you with a prototype of your project and assist as much or as little as you wish in the design process. Custom shaped playing cards are made with a knife rule die and require an outline that corresponds to the exact shape and size the finished card will be. This is then converted into a die and your custom playing cards are cut with that custom die.